My homemade spice mix recipes will save you money. But the most important reason to make your own spice mixes is the fantastic flavor everyone will taste time and time again. No hidden chemicals and preservatives, so it is healthier for you too. I suggest purchasing organic spices because they are now easy to find at a reasonable price point. I even see them sold now at Wal-mart stores. 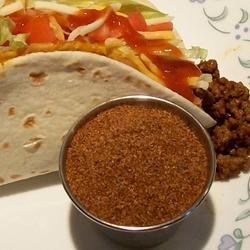 I know you and your family will enjoy these spice mix recipes as much as we do. Apple pie spice: For 1 teaspoon, substitute 1/2 teaspoon ground cinnamon plus 1/4 teaspoon ground nutmeg, 1/8 teaspoon ground allspice, and dash ground cloves or ground ginger. 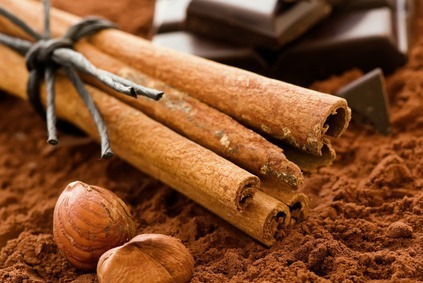 Cinnamon, ground: For 1 teaspoon, substitute 1/4 teaspoon ground nutmeg or ground allspice. Curry powder: Mix ground tumeric, ground ginger, ground black pepper, ground coriander, ground cumin, and chili powder. Gingerroot, grated: For 1 teaspoon, substitute 1/4 teaspoon ground ginger. 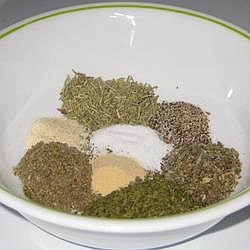 Poultry seasoning: For 1 teaspoon, substitute 3/4 teaspoon dried sage plus a 1/4 teaspoon blend of any of these: dried thyme, dried marjoram, dried savory, ground black pepper, and dried rosemary. Pumpkin pie spice: For 1 teaspoon, substitute 1/2 teaspoon ground cinnamon plus 1/4 teaspoon ground ginger, 1/4 teaspoon ground allspice, and 1/8 teaspoon ground nutmeg. Thai seasoning: For 1 tablespoon, mix 1 teaspoon ground coriander, 1 teaspoon crushed red pepper, 1/4 teaspoon salt, 1/4 teaspoon ground ginger, 1/4 teaspoon garlic powder, and 1/4 teaspoon onion powder. Basic Spice Information Selecting. To guarantee that you are using fresh spices, you should buy them in small quantities and date them. Replace old spices once a year. You can tell if a spice is fresh by its color and aroma. 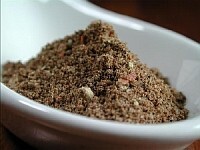 When fresh, most spices have a bright color and a strong aroma when you open the container. If either the color or the aroma seems weak, replace the spice. Storing. Your spices will keep their flavor longer if they're stored in a cool, dry place. Keep in an air-tight container. Avoid storing in racks or cabinets over the range where they will be exposed to heat and humidity. Whole spices stay fresh for up to 2 years and ground spices about 6 months. Purchasing. You may prefer to replace all of your ground spices once a year. November and December are particularly good times to replace spices due to supermarket sales for holiday baking. I can't take the credit for all of this information, it was adapted from BHG.com. Enjoy.